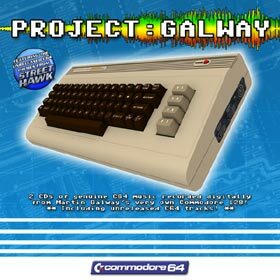 Amazing project that gives you Martin Galway's C64 tunes recorded directly from his very own chip, as they were meant to be heard: with the most sensitive and well-balanced 6581 filter ever heard. Highlights of this CD include the previously-unhead music from Street Hawk, and the extraordinary sensitivity of his Wizball soundtrack. Alistair Boz Bowness imported Martin's own C128D and wrote his own cross-assembler for this. If you care about the quality of the SID going into your ears: add this to your collection.